I can’t fully express my feelings this evening. 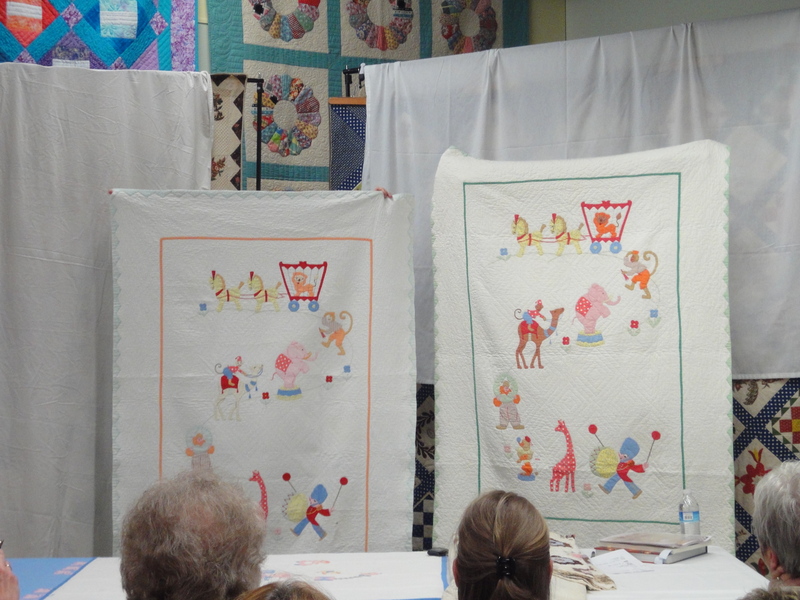 Today we enjoyed a presentation by Molly Schiessl, owner of Fourth Corner Fine Quilt Gallery in Ashland, Oregon. 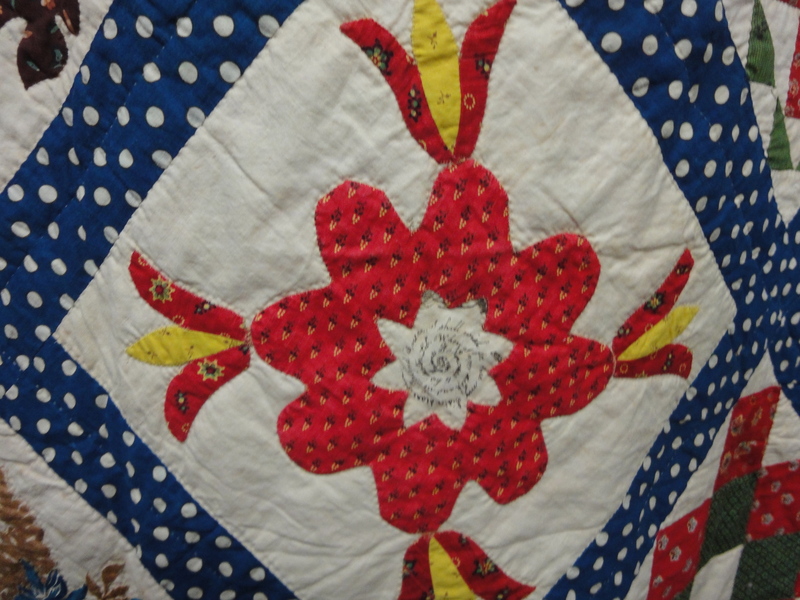 Molly has recently relocated to Eugene, and agreed to share some of her antique quilt collection at our quilt show. The presentation was amazing! 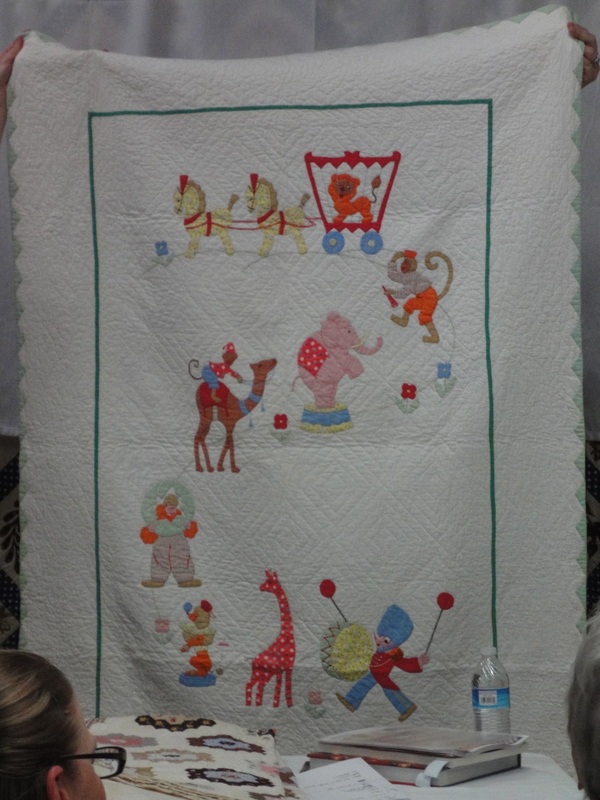 I love this circus theme! And look what she also had! So that tells you a lot about how common this kit must have been!! 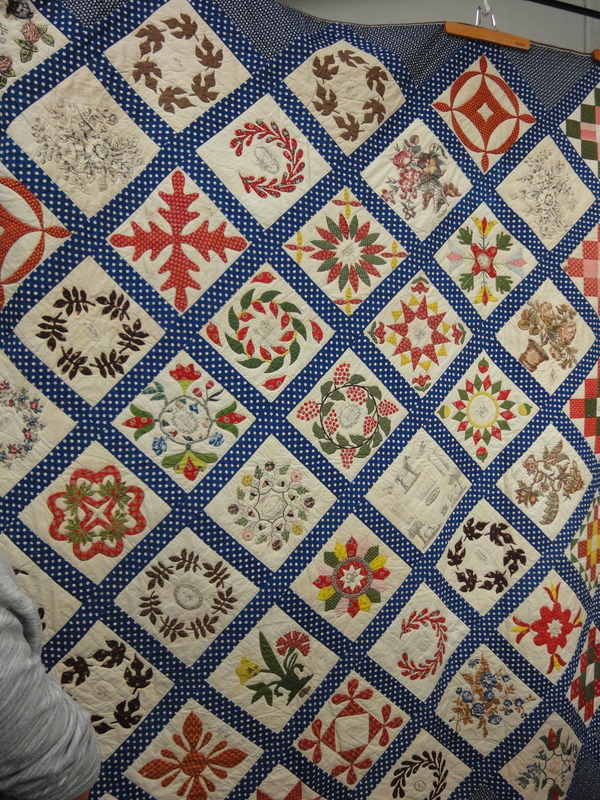 Then she showed this sensational quilt, Elizabeth Norcross’ 1847 New Jersey Quaker Friendship Quilt. 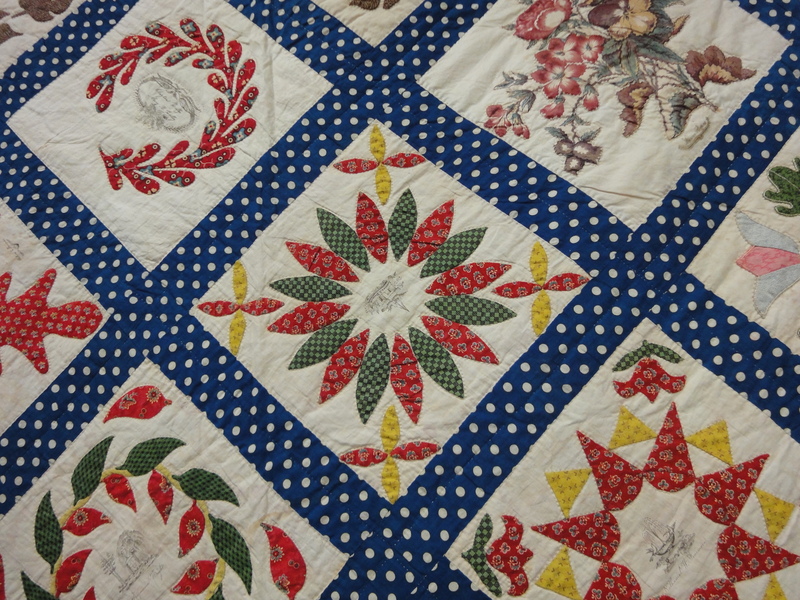 This quilt has inscriptions throughout the blocks, ink drawings, wonderful detail! Note the spiral inscription here! 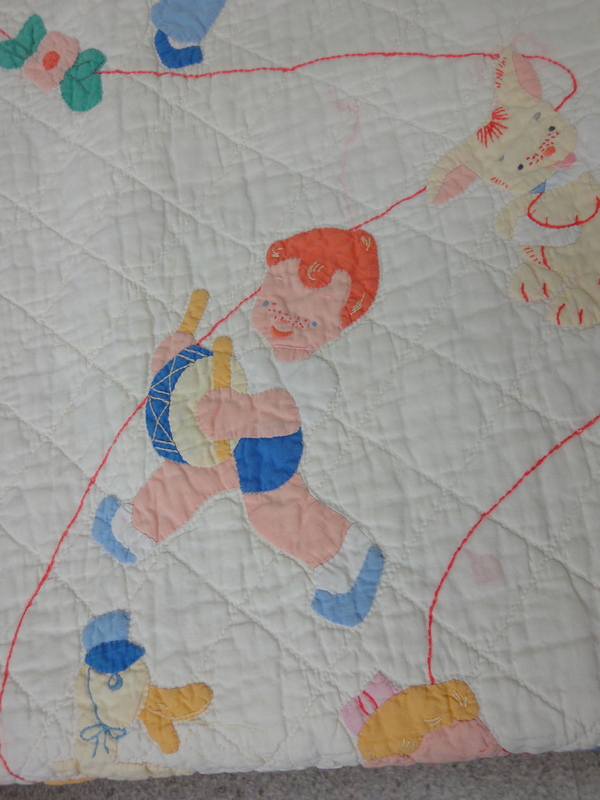 Here’s a nice closeup. 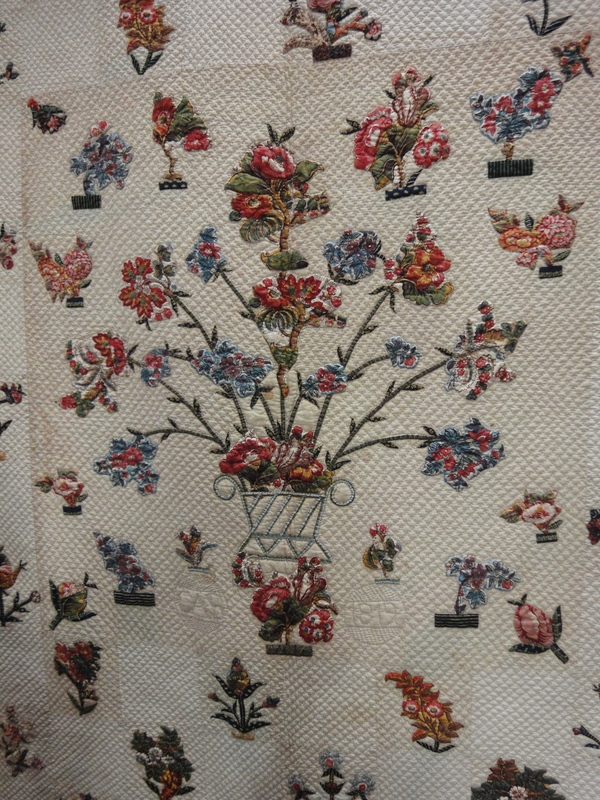 The workmanship is wonderful! 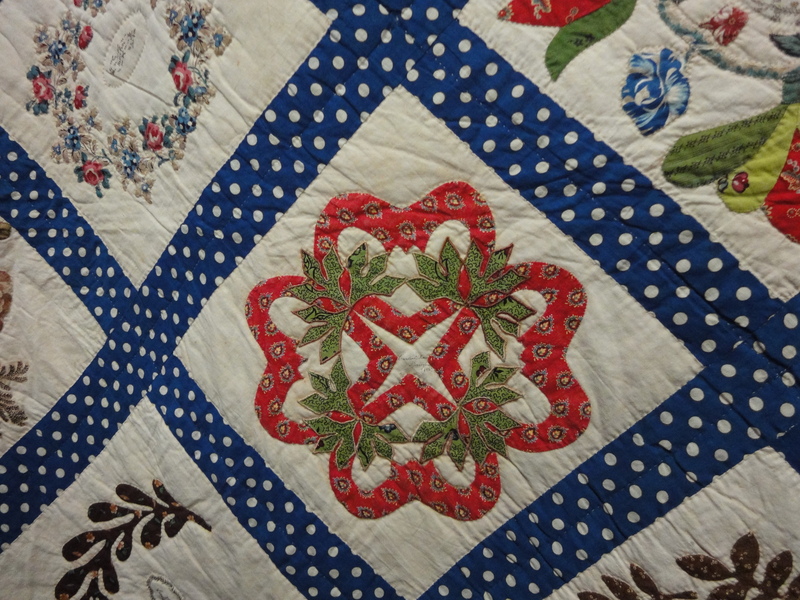 Seeing these marvelous quilts made my heart sing! 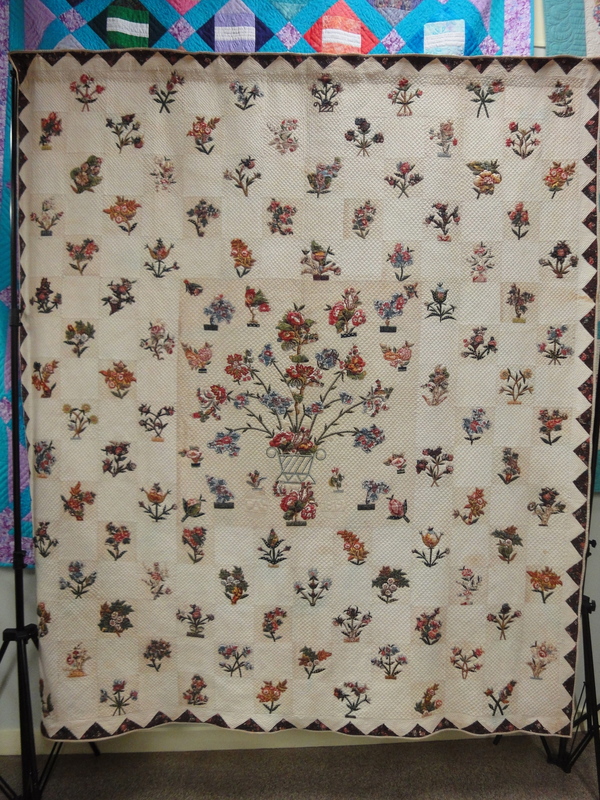 Quilting transcends the generations, and I can imagine the quilters who lived long ago as well as the quilters yet to be. 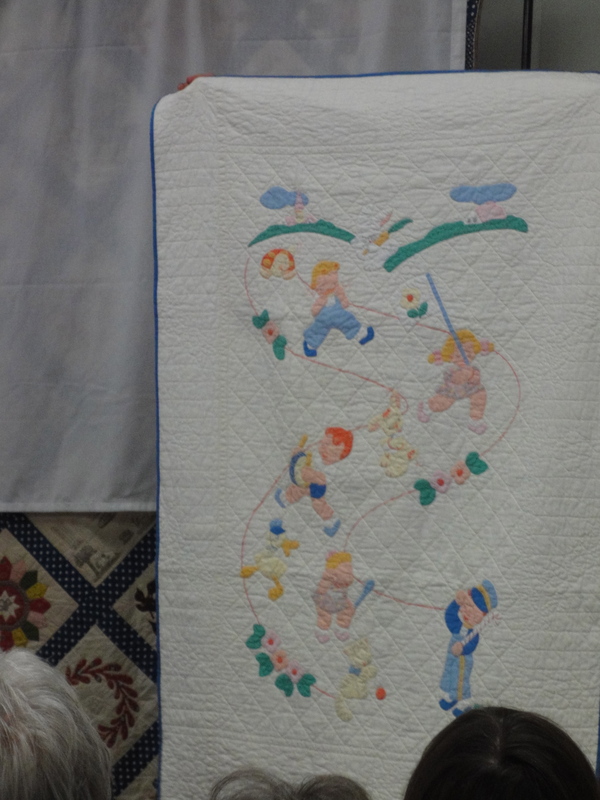 We were so fortunate to have Molly Schiessl share her wonderful quilts with us!